Mysuru: Bemoaning poor communication network in rural areas, Chamarajanagar MP R. Dhruvanarayan has instructed BSNL officials to ensure that there are no hassles in internet facilities as most of the Government schemes, programmes and initiatives have gone online. 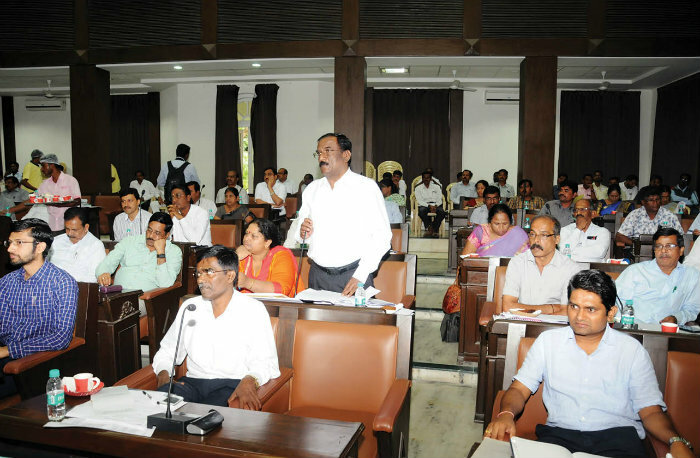 He was speaking at the District Development Co-ordination and Monitoring Committee at ZP Hall here yesterday. Pointing out that there were several complaints on call drops in rural areas, the MP instructed the officials to erect mobile towers wherever sanctioned, so that the rural people get better internet connectivity. Seeking statistics on the implementation of all government schemes, programmes, plans and initiatives of the State and Union governments, the MP referring to complaints that the banks were hesitant to advance loans to beneficiaries, asked the Lead Bank Manager to instruct all banks to advance loans to dairy farmers under the State’s ‘Pashu Bhagya’ scheme. Urging the private banks to extend loans to the beneficiaries, Dhruvanarayan also asked the authorities not to make deposits in those private banks which refuse to advance loans to the needy. Expressing disappointment over the slow pace in the execution of rural drinking water projects, the MP directed the officials to ensure drinking water supply to villages from river sources itself, in the absence of a drinking water supply mechanism. 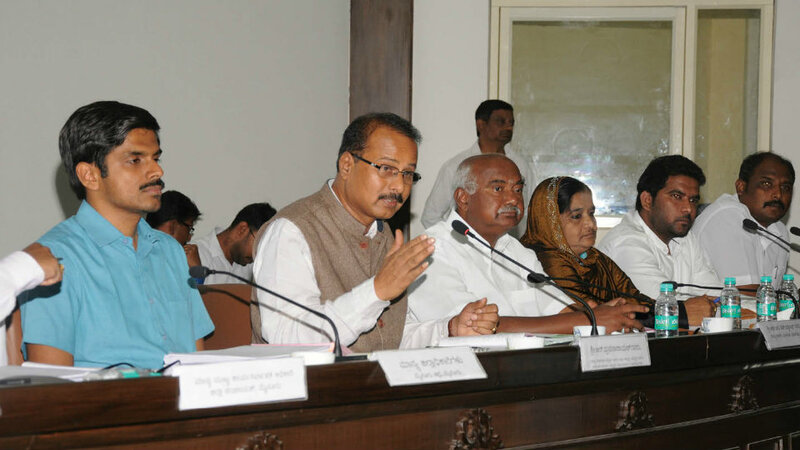 MLAs Anil Chikkamadu, A. H. Vishwanath, Dr. Yathindra Siddharamaiah, B. Harshavardhan and Ashwin Kumar, Deputy Commissioner Abhiram G. Sankar, ZP President Nayeema Sultana, ZP CEO P. Shivashankar and other officials were present at the meeting.